A gypsy’s crown jewel. 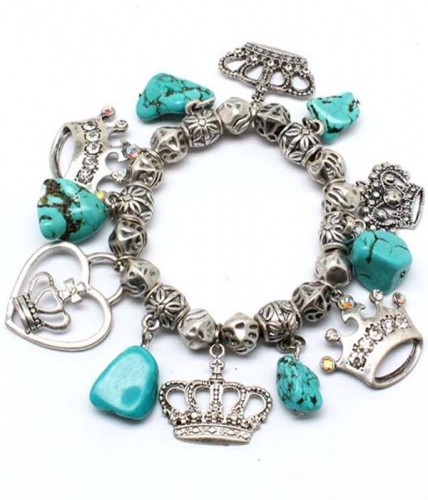 The Yuliana bracelet is a simple design on comfortable stretch, embellished with Tibetan silver beads, hanging natural turquoise stone and crystal-studded royal charms. Made to layer and stack with others. If you love fashion accessories make Oz Bling your one stop online shop for all styles, fun, formal, chic or unique!